Although it mainly depends on the type of fabric used in the upholstery of your fabric sofa yet there cannot be a sofa more comfortable and relaxing than the one finished out of fabric. Their wooden frame is completely covered with foam and fabric and cushions afterwards to give the most heavenly feel to you. Besides, the fabric remains cool unlike other materials even during the summers. If you choose a good quality fabric for your sofa, you will definitely end up contented. A premium quality sofa fabric would withstand wear better and many of them are even treated with stain resistant finish to allow easy cleaning in case of spilling. 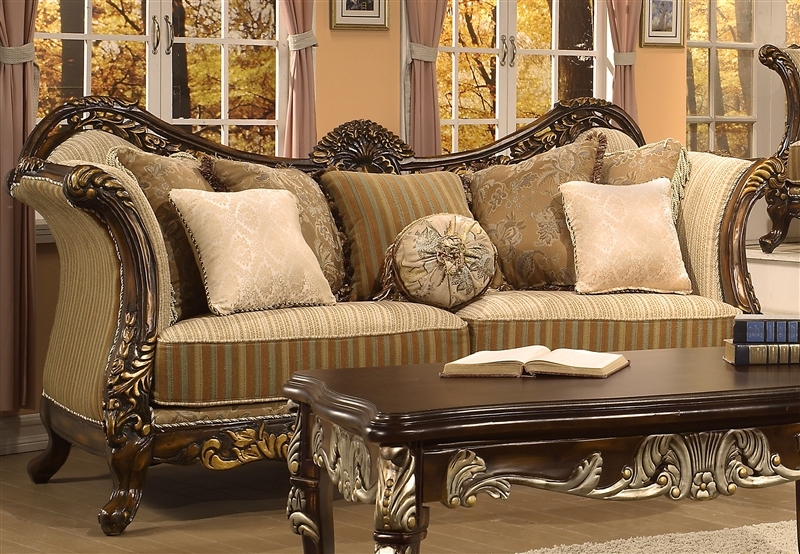 With fabric sofas, you get countless designs and colors to choose from. You can get your fabric sofa changed every year with a whole new color and design of fabric. Whether you like clean contemporary lines, big or small checks, geometrical shapes, traditional design patterns or you just like a plain colored fabric, you can easily find a sofa at the local store. Unlike the fabric sofas, the leather sofas are hypoallergenic, which means that they are best choice for allergy sufferers. The leather does not harbor dust mites, pet dander and any other types of allergens the way fabrics does. 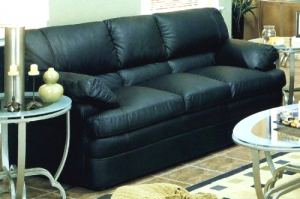 The leather sofas have the ability to give some different kind of elegance to a room. Many people are not really inclined towards traditional fabric designs and patterns and like plain colors more. For such people, the leather sofas are just right choice. Leather is easy to clean unlike fabrics. No matter how it got stained, you can make use of soap and water to clean up your leather sofa into a brand new one. Besides, a leather sofa does not catch dust and therefore does not require very frequent dusting or rubdown like a fabric sofa needs.